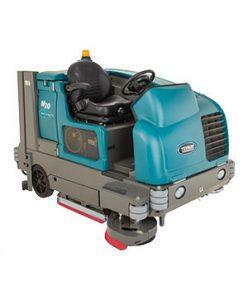 View more information about the Tennant M20 (LPG) Ride on Combination Floor Scrubber Drier below, or alternatively, call us on 0800 859 5151 to get a quote. 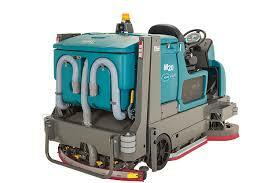 The Tennant M20 Integrated Ride-on Scrubber-Sweeper is an industrial-grade ride on floor sweeper / scrubber drier. Robustly built, the heavy-duty M20 provides consistent, quality cleaning results even in the harshest industrial environments. Overall cleaning costs can be reduced by cleaning in a single pass, without the requirement of stand alone floor sweepers and floor scrubber driers. Clean up to three times longer than conventional scrubbing by using less water with innovative ec-H2O technology. Key machine features of the M20 Integrated Ride-on Sweeper-Scrubber include a heavy gauge steel frame and body construction, a side brush provides superior edge-cleaning capabilities and maximises productivity, and squeegee protection kit protects the machine in harsh environments. Ideal for use through warehouses, supermarkets and engineering environments. Twin roller brushes makes this machine very adaptable to almost all floor surfaces. 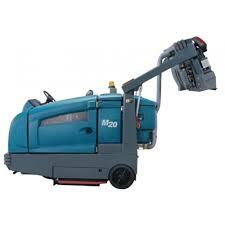 To get a quote for Tennant M20 (LPG) Ride on Combination Floor Scrubber Drier please use the form below or call us directly on 0800 859 5151 to speak to one of our helpful staff.